Think you can spot the ways hackers could get into GOV.UK Verify? 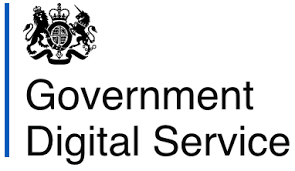 Then we have some good news: the Government Digital Service (GDS) wants to give you a job. With a pretty tight deadline – you have to submit your application by midnight on Tuesday, 3rd July, next week – the Service says it needs a researcher to come into its Whitechapel HQ to help work up analysis on threats to the Identity ecosystem that could be used by a fraudster trying to get through the identity verification process. The work scope includes reviewing existing models for indicative costs for different sources of identity evidence and availability relating to specific countries, and you’ll also be expected to “monitor and assess trends in identity fraud on the dark web”, plus work with the Security Operations team to use this information to combat Identity fraud. The context of your work: GDS’s Identity Standards and Fraud Prevention team is responsible for understanding the risks and threats of Identity crime and identity fraud from organised crime groups and other threat actors – work undertaken in partnership with the public, private and academic sector. Previous experience of working or collaborating with law enforcement, security and military organisations on cybersecurity and identity risks. One last thing: you must be ready to on-board no later than Monday, 30th July. We recommend suitable candidates apply for this fascinating and challenging position. Good luck!